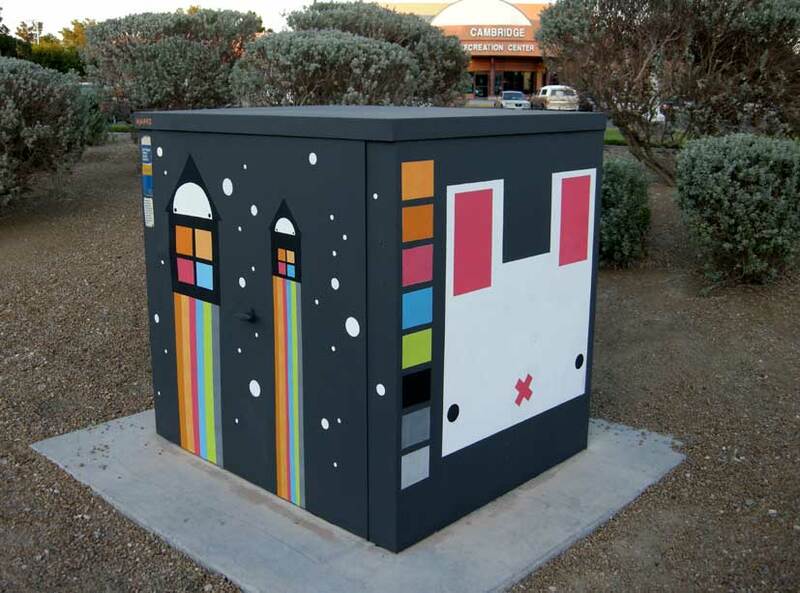 The 4th Zap! 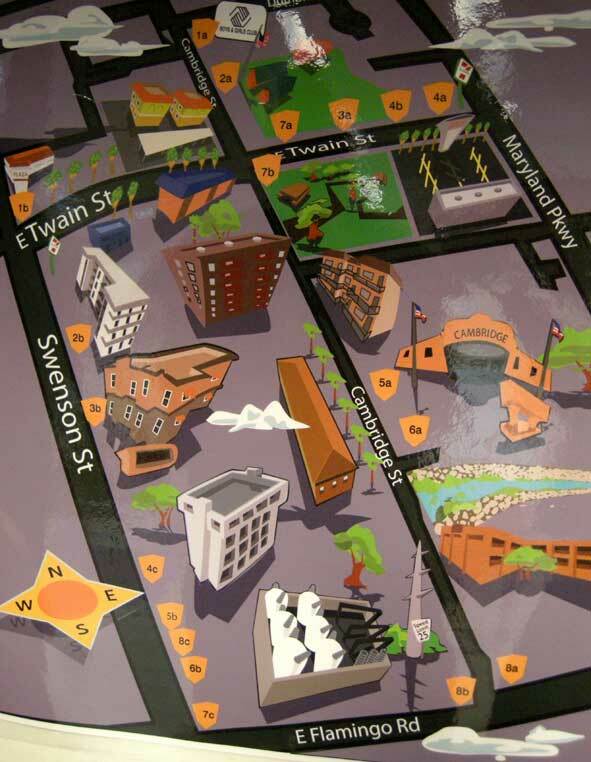 project centers on the Cambridge neighborhood. 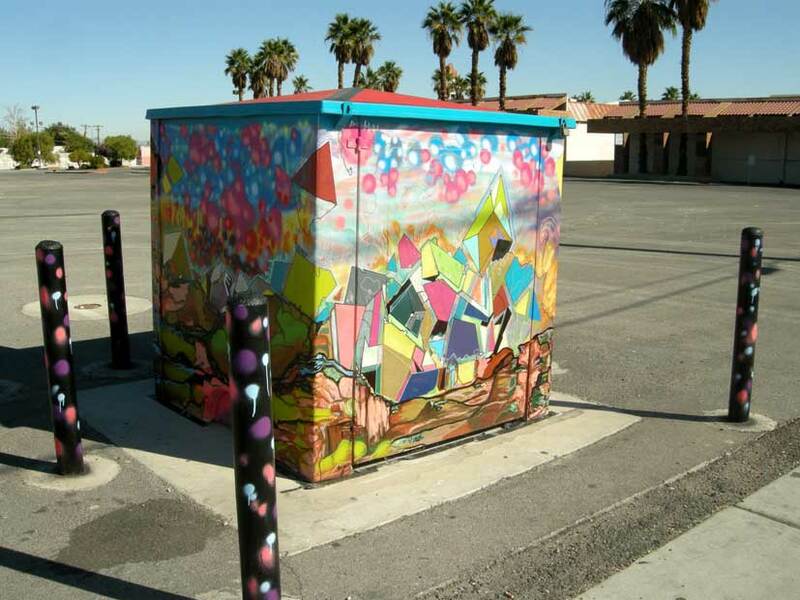 Eight artists were chosen by Metro Arts to transform the bland utility boxes in the area. 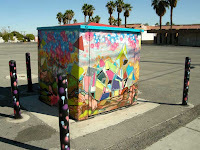 The boxes shown here are by (left to right) Zak Ostrowski, Peter Mengert and Shan Michael Evans. 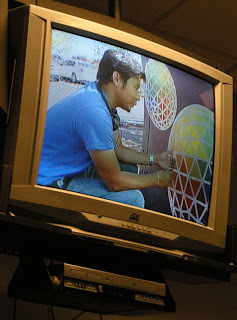 Channel 8 documented the project, interviewing the artists working in the streets - seen here is Jevijoe Vitug in action. Patrick Gaffey from Clark County Parks and Recreation, implemented the first Zap! 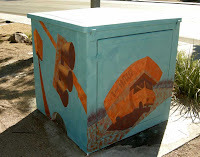 project in 2005 as a way to financially support local artists, cut back on tagging, and encourage community pride. The idea seems to be working well, with the artists enjoying lots of support from locals while they worked.